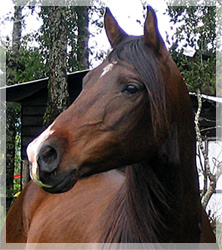 Parque Natural Dos Rios is the only stud with stallion of shagya-arabian blood in Chile. 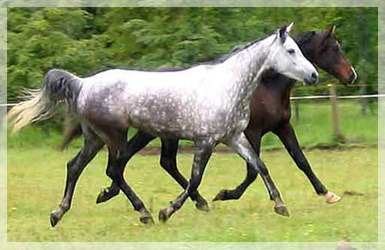 Shagya-Arabians combine beauty and resistance of purebred arabian horses with the competition qualities of a modern sport horse. combines the finest bloodlines of European Shagya Breed and has been imported from Germany in 1996. 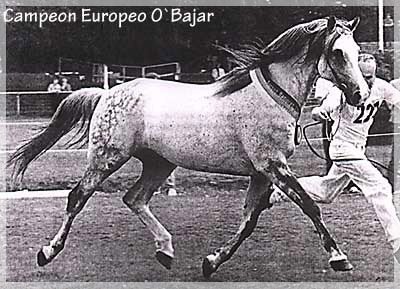 O`Bajar European Champion of Shagya-Arabians, Champion of Performance in comparison to all arabian stallions in Germany, with approved sons in Germany, Switzerland, Austria, Italy and United States of America. 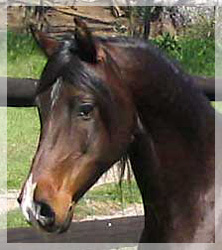 in Shagya-Cross Dos Rios is used as a father of high performance horses that combine resistance, nobility and beauty with excellent jumping technique and impressing movements. 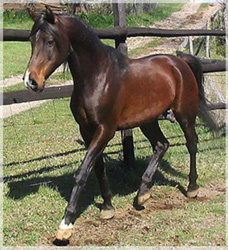 Crossing him with mares of chilean and Holstein bloodlines we received excellent competition horses, which in height, statue and character are especially apted for children. 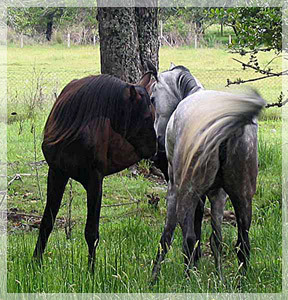 The combination with arabian and thoroughbred mares will give you highly talented horses for endurance competition. All offspring of Malik is officially registered with SOFO Temuco.